Unlimited online resource for one of the largest sources of company, industry and country business information. 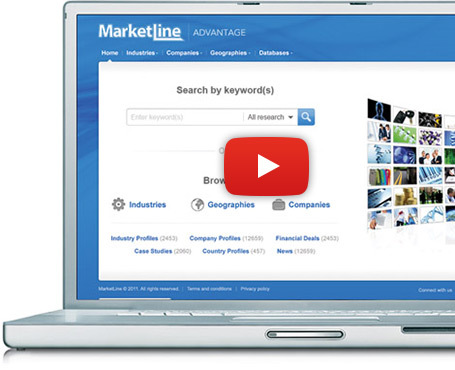 MarketLine Advantage offers students and faculty a unique combination of company, industry and country information, for every major global marketplace. Our academic users love the way this online research platform guides them straight to reliable data and illuminating analysis, and equips them to increase their understanding and generate their own insights. With 98% of our academic clients renewing every year, MarketLine Advantage meets the needs of an ever changing environment thus equipping the next generation with the tools for the competitive edge. To see first hand the value of MarketLine content to you and your organization, sign up for our free trial today. What I found the most valuable for our students, professors and phd students as well as us, librarians, are the company reports and cases and the industry reports. The Country Analysis feature is very popular with all the marketing academics & they have been getting students to use the data for their assignments. Also, the Market Data Analytics database within MarketLine is ideal for real marketing intelligence information & comparisons between countries. Uncover the strengths, weaknesses, opportunities and threats facing the biggest global companies. Form a clear picture of individual market sectors with our Porter’s Five Forces Analysis, including who is operating within them and how they are performing. Analyse the business landscape in 110 countries with our PESTLE analysis into the strengths, challenges and prospects. Understand the size and scope of more than 12,000 global companies with detailed company summaries. Learn and apply key business lessons through our analysis of the latest innovative company strategies. Identify and track major financial deal activity in every sector to spot opportunities and threats ahead of your competitors. Get a top-level overview of more than 16,500 global companies with our streamlined Company Capsules. Stay informed of the latest developments affecting the organizations on your radar with our news service. Country Statistics identifies and contextualizes key country and market trends – both historically and into the future whereas with MDA you can size, measure, and assess consumer packaged goods markets from all around the world.